We don’t claim to have the cheapest rates on the market, but we are definitely far from the most expensive. Our rates are calculated on a high standard of workmanship at more than reasonable rates. On arrival, we will give you as accurate guide as possible as to how long your job will take at which point you will have the decision on whether you want us to proceed. A sample of our rates are below. We don’t consider that the job is done until you are completely satisfied. We aim for efficiency and quality of workmanship. 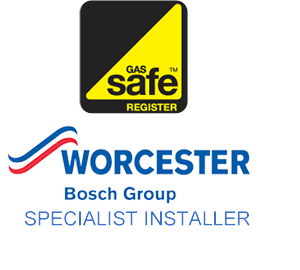 All our work comes with a 1 year guarantee of satisfaction and our Worcester Bosh boilers come with a 5-8 year warranty. Regardless of whether you require commercial plumbing and heating repair or residential plumbing and heating service, we work efficiently and quickly to resolve your problems in the most cost effective manner possible. Whatever your needs are, we can provide the service you need. Getting the job done safely and right is our most important commitment, if you have any questions or a particular problem that might not fit this list, please give us a call at 020 8875 9256. We’ll be happy to provide you with any information that you need, answer your questions or provide you with a quote.